If you haven’t met author K.M. Weiland before, you are in for a treat—and that applies whether you like to read Fantasy novels or books on writing. She flips from fiction to non-fiction with practiced ease and absolute mastery. She is one of the most readable authors around, whether she is telling a gut-grabbing story or simplifying the craft of writing. A new K.M. 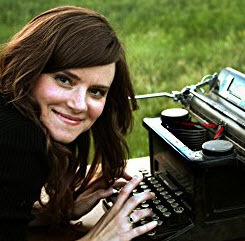 Weiland book on writing is an automatic “buy”: She is one of those rare authors who always manages to give positive, real-world, layered advice that works as brilliantly for seasoned writers as it does for newbies. Two books I refer to, again and again: Conquering Writer’s Block and Summoning Inspiration and Structuring Your Novel: Essential Keys for Writing an Outstanding Story—but do yourself a favor and invest in the accompanying workbook to the latter! And as for the 5 Secrets of Story Structure, it totally lives up to its book blurb promise that you will “Discover the “secrets” of story structure other authors are overlooking!” It is a shorter but powerful read, and is one of my favorite writing books. And now she has just launched a new book for writers . 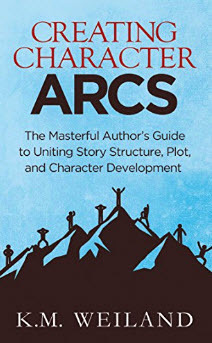 . .
Now she has come out with a new book: Creating Character Arcs: The Masterful Author’s Guide to Uniting Story Structure, Plot, and Character Development (A Helping Writers Become Authors book). “Character arcs are so much more than a simple, three-step process, and author K.M. 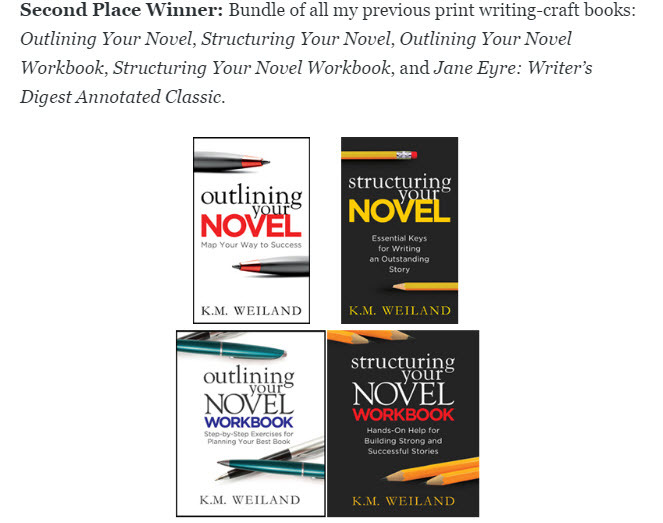 Weiland thoroughly understands and explores this in Creating Character Arcs: The Masterful Author’s Guide to Uniting Story Structure, Plot and Character Development. K.M. Weiland doesn’t just talk about developing characters, she integrates information about the different types of character arcs with structure and plot to help you create your most powerful story. (Turns out there’s a real link between character arc and story structure). This book contains so much more than discussion of character arcs alone: It’s a recipe for making sure your books have maximum impact and strong structure, as well as memorable characters. It cleared up at least three deep areas of confusion for me as a writer that I did not even realize I was stuck at. And if you like Fantasy, check out her fiction too. UPDATE: K. M. is running a contest all this week for her “Creating Character Arcs” launch–it’s running till Saturday, November 19th. Go win prizes such as her books, a literary book scarf or a personal library kit – as well as hourly prizes. GO HERE to enter: K.M. CREATING CHARACTER ARCS LAUNCH CONTEST.